The entire world is filled with conveyor belts. Pulled along a system conveyor rollers, these amazing components of technology often go unnoticed and are underappreciated, but the world would have been a completely different place without them. They are used for everything from transporting heavy cases around shipping warehouses to a crucial element in food production operations. Deep within the Western Sahara, surrounded by no other thing but barren desert, stands the earth’s greatest conveyor belt system. It is so large in fact, that it can be viewed from space. This massive structure expands over 61 kilometers and is used to transfer phosphate stone over the desert. The automatic conveyor belt system starts its quest at the Bou Craa Phosphate Mine. Phosphate is utilized as a vital farming fertilizer and this Moroccan-managed territory has around 85% of the world’s current reserves. Phosphate is sought after worldwide and we consume around 40 million tonnes per year, so it is obvious why this kind of huge structure needed to be created. The belt model is ST 2500 and it is only 80cm wide but has a maximum transporting capacity of Two thousand tonnes of crude phosphate rock an hour. 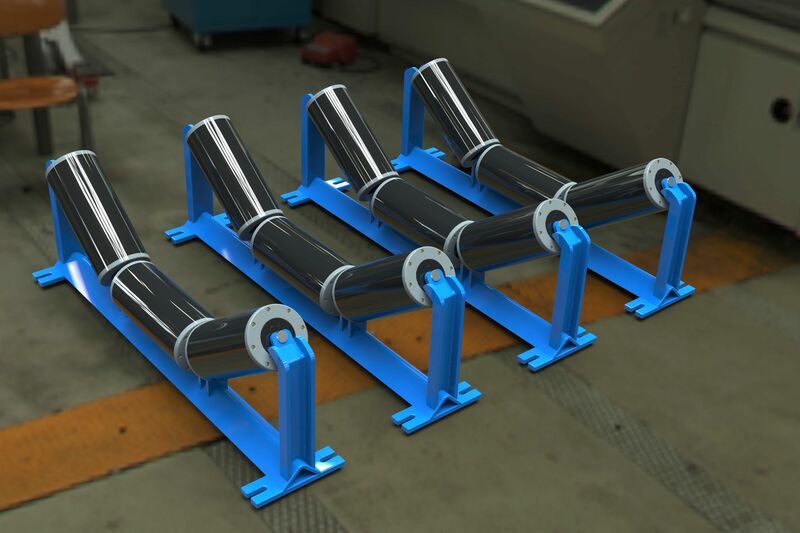 The many conveyor rollers that comprise this system are very important to the smooth operation. The Bou Craa phosphate mine has been discovered in The late 1940s by the Spanish. The phosphate deposit situated in the area were actually uncommonly close to the surface and were definitely of really high purity, therefore it made it an ideal place to mine, even though mining didn’t fully start before the 1960’s. Since the beginning of operations, the mine has continued to expand and already covers an astounding 1,225 hectares. The production in 2001 was 1.5 million metric tonnes of processed phosphate, an abnormally big percentage of the world’s supply from just one mine. The belt, which is functioning for over thirty years, finishes its 61 mile journey in the El Aain shoreline where its load is processed and shipped. The belt is not encased and as time passes, moving phosphate rock continues to be transported by the prevailing winds and kilometers of land south of the belt now looks completely white from space. The Bou Craa conveyor belt has such an important role to play that if it ever failed, food prices all over the world would noticeably increase as stocks of phosphate fertilizer would become scarcer. Who would have imagined a straightforward conveyor belt could be so fixed to the worlds food? With only a modest amount of overstatement, you might claim that the conveyor rollers and belt contained in this system are what enables billions of men and women around the world to eat. The Bou Craa conveyor is actually a feat of technology and extraordinary. It really is improbable that we’ll see one more conveyor belt of similar proportions made in our lives. This website Fastrax motorised roller provides extensive more information on the main topic of Steel Rollers.